Grab your FREE copy from AMAZON. Only through March 23rd! Did you get a taste for India as we explored a little bit of the culture? If you missed any stops, go back and check them out now! Coffee Books & Art - Sari: Traditional Costume or Functional Attire? The image of a woman wearing a sari conjures up both the remarkable beauty of women and the exquisite artistry of textile and embroidery. The sari is a garment created from a single piece of fabric five to nine yards. Its ingenious design allows for wrapping around a woman’s body in different ways. This allows for a variety of effects: stunning traditional gown, alluring eveningwear, or simple utilitarian work attire. It is one thing to prepare food for ourselves because we need to eat. It’s mealtime, we’re hungry, what do we have in the cupboard? But it is a whole different thing to cook a special dish or an entire feast because we want to shower someone we love with a caring gesture. Rihaan gave a wry shrug. “Okay, then let your mom choose your wife and live happily ever after with my blessings,” Rudy said, grinning widely. It's like I can't describe it- but The Accidental Wife had me HOOKED! I loved how Naina and Rihaan slowly fell for each other, how things kept happening thatnmept them from being together, it was so realistic, how they let their pride get in the way of things, how they decided to stick to their stubborn ideals despite the obvious love and desire they were feeling! . . . All I can say is- for an insight into Indian Society- READ THIS! He soon found himself engaged in the activity of browsing through the huge databanks of boys and girls seeking potential life partners. He was shocked at the variety he saw and equally surprised at the way they presented themselves, especially how particular they were about the kind of mate they wanted. It was just as Rudy had described—a huge marriage market. Finally after having amused himself for a few hours, Rihaan fell asleep thinking there might just be a solution to all his problems. 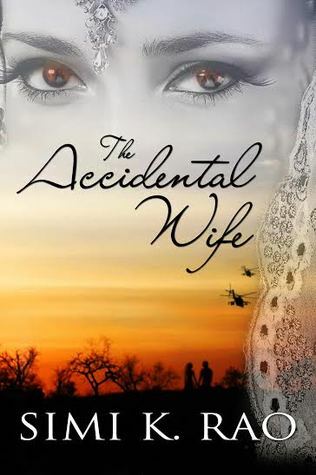 The Accidental Wife had me hooked from the start. I love reading about different cultures and this is a perfect example of it. The depth of the characters and how real they came across had me wanting more. I couldn’t put it down. Marriage is a sacred relationship. It is not just the meeting of two individuals but of two souls. Its purpose is for the continuation of family and to practice one’s Dharma. There is no concept of divorce. Once married, a couple is wedded for life. Divorce is a modern concept introduced through the Hindu Marriage Act of India. Simi K. Rao was born and grew up in both northern and southern India before relocating to the U.S., where she has lived for several years. 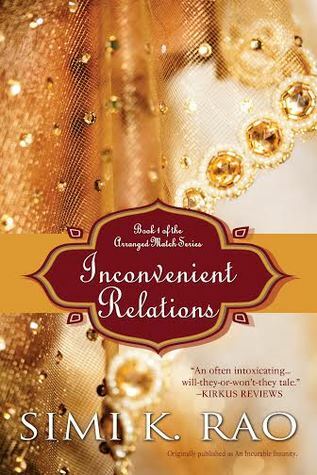 Inconvenient Relations is her first published novel. The inspiration for this book, and her other projects, comes from her own experience with cross-cultural traditions, lifestyles and familial relationships, as well as stories and anecdotes collected from friends, family and acquaintances. Much of Rao's down time is devoted to creative pursuits, including writing fiction, poetry and photography. She is an avid traveler and has visited many locations around the world. 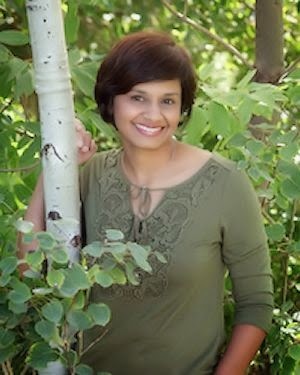 A practicing physician, Rao lives in Denver with her family.